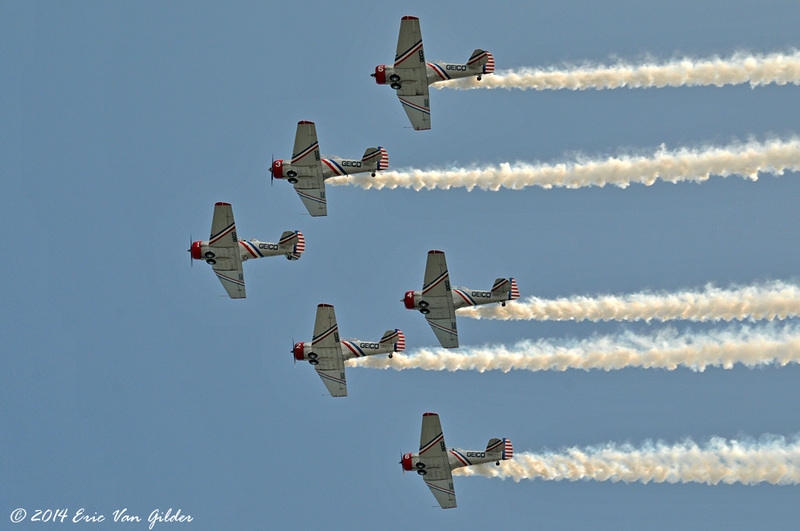 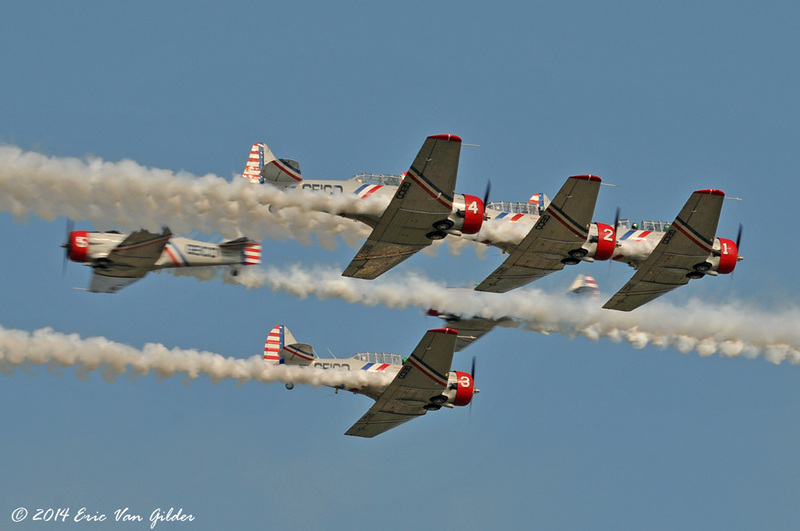 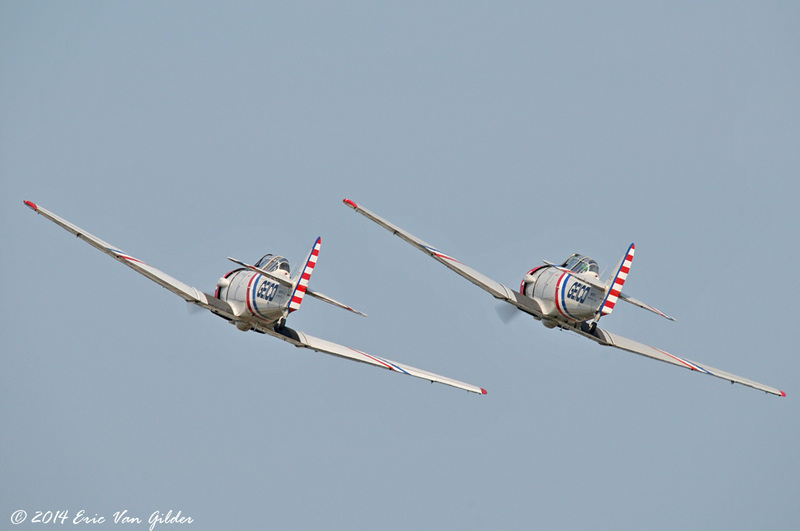 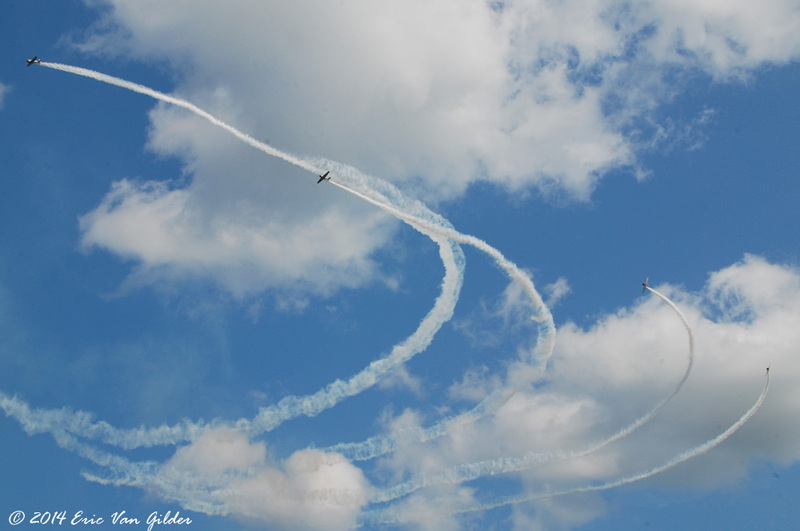 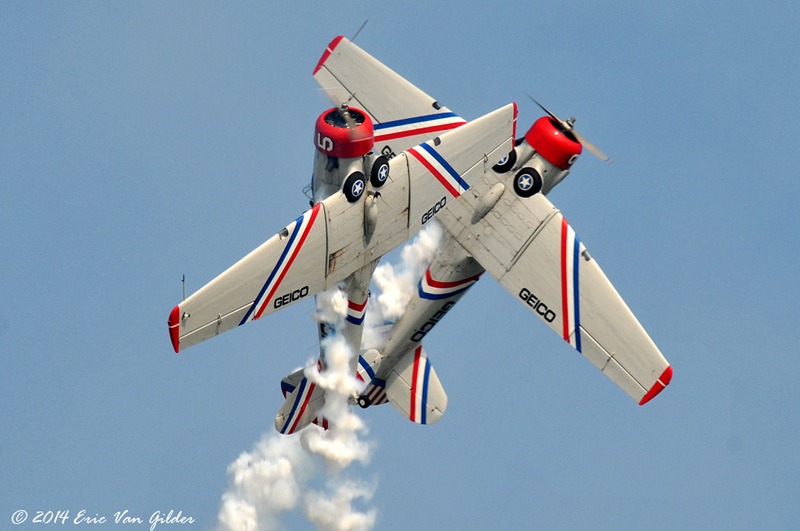 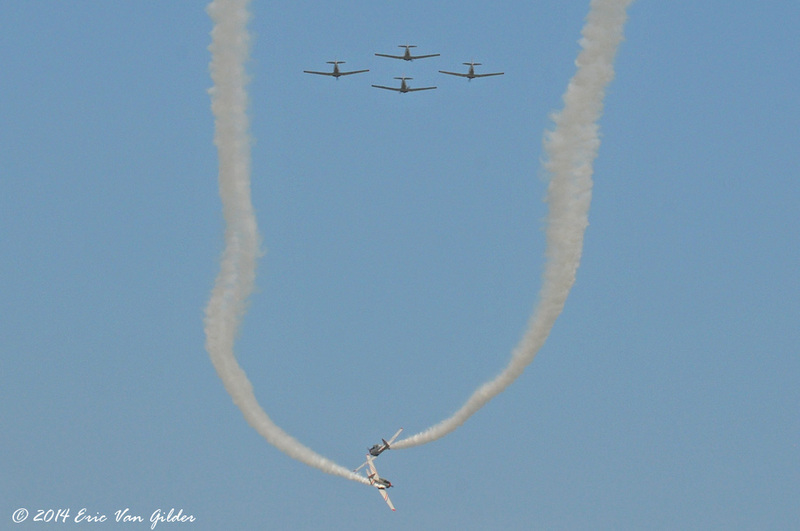 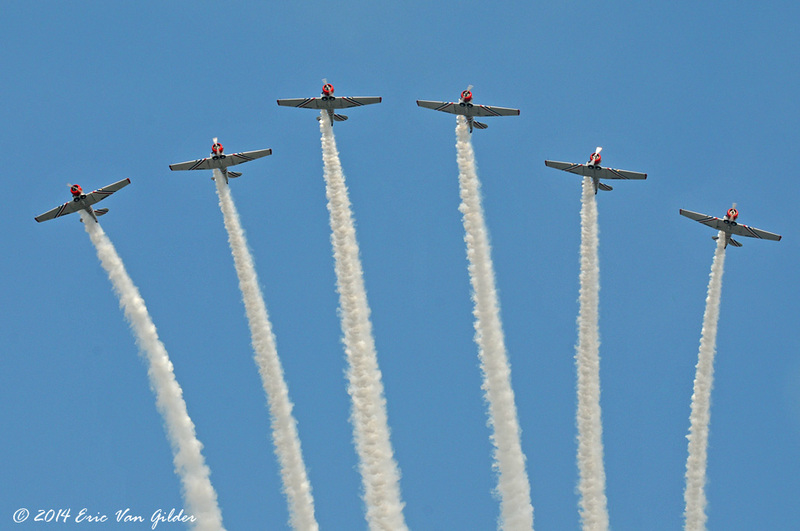 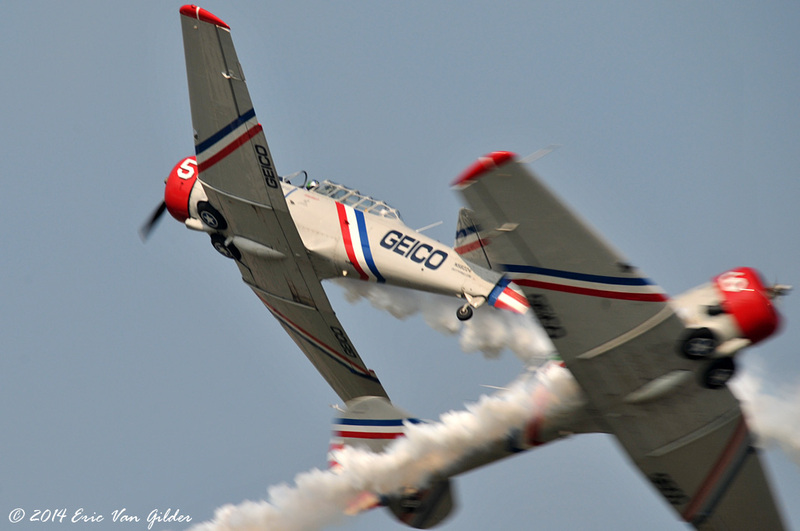 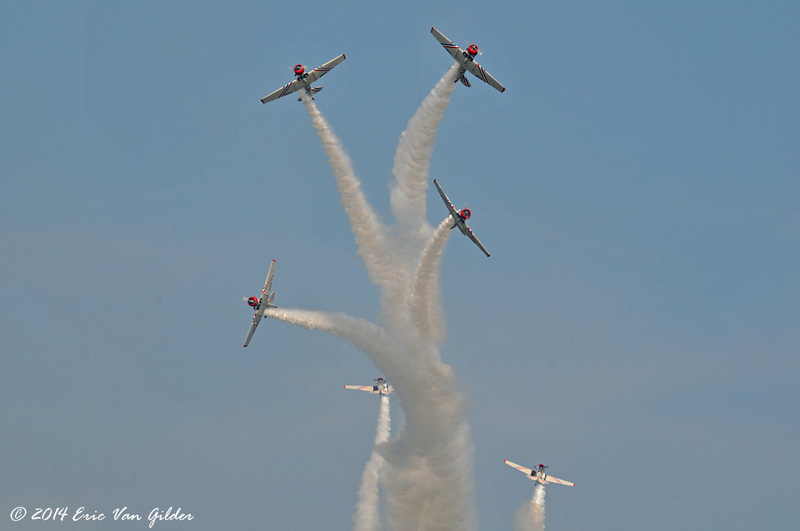 The Geico Skytypers team performs precision manuevers and demonstrates WWII air combat training techniques. 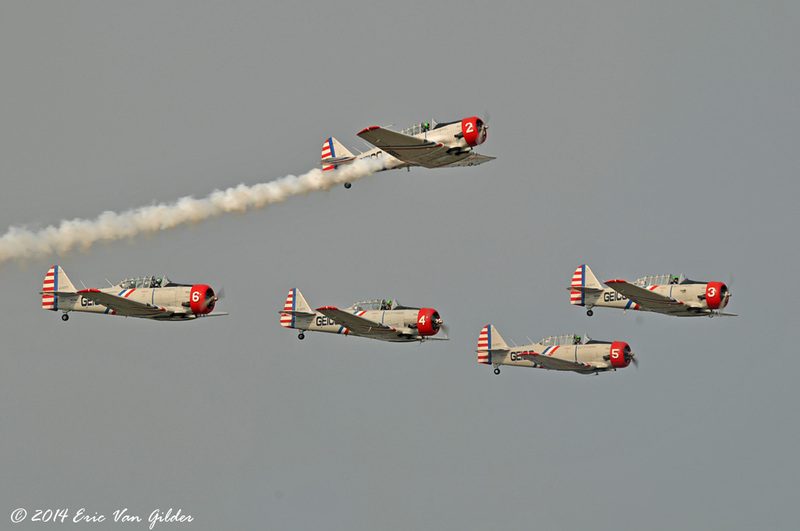 They fly six North American T-6/SNJ Texans. 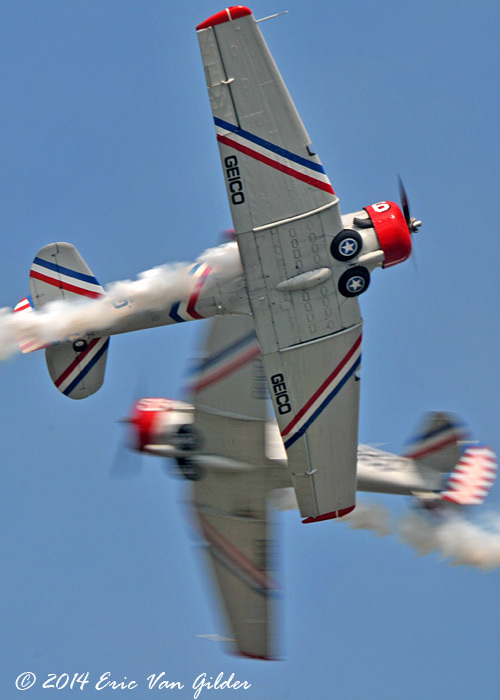 They are based in New York and have 10 pilots for the team. 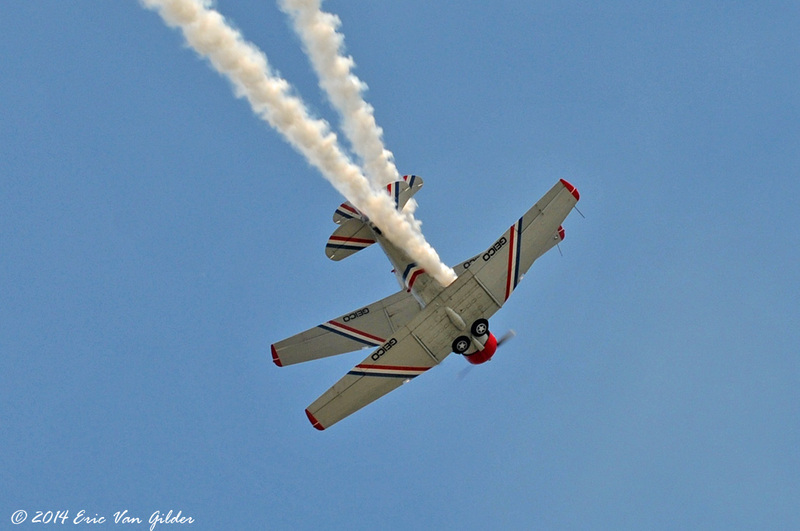 The show is exciting and educational at the same time.